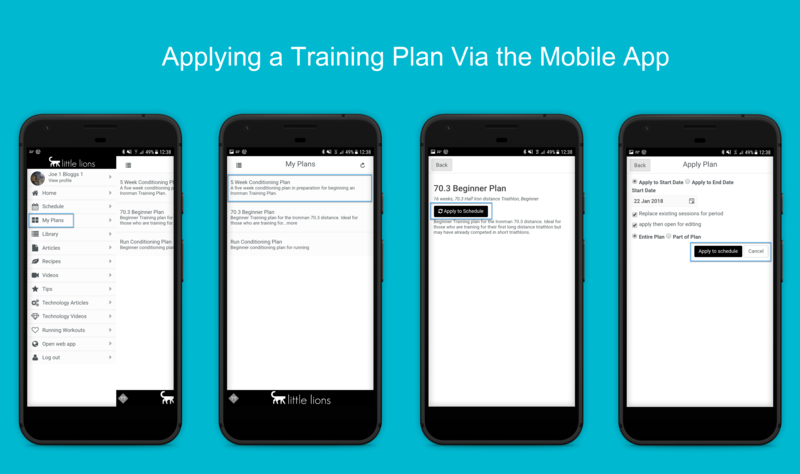 Athletes can now apply training plans to their training calendar via the mobile apps and the web apps. There is now a new menu item in the mobile apps when logged in as an athlete for the "My Plans" feature. Athletes can now view they plans that are accessible too them and can apply the plans to their calendar. Athletes can search open a plan from the My Plans list and then click the "Apply to Calendar" button. The athlete help documents have been updated to show how this can now be done in both the web and the mobile versions of the platform.